The Florida Department of Transportation has issued a warning regarding a SunPass email scam that says customers have past due tolls. 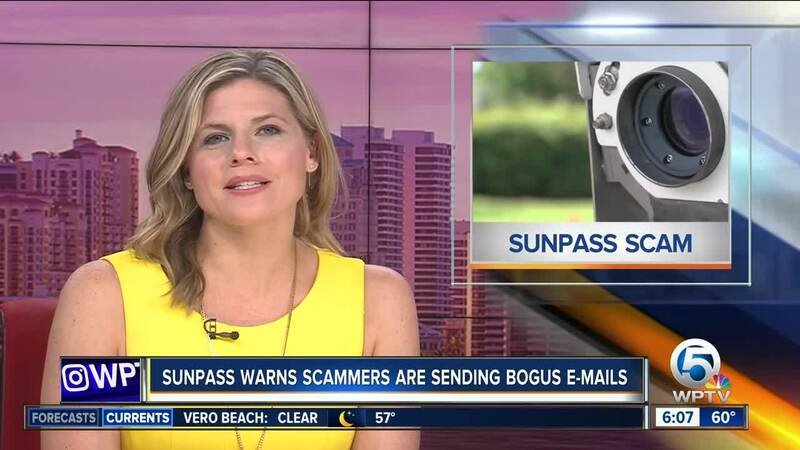 TALLAHASSEE, Fla. — The Florida Department of Transportation has issued a warning regarding a SunPass email scam that says customers have past due tolls. FDOT said the email is bogus and not associated with the state of Florida, SunPass or any other valid agencies. The state said they want the public to know that Florida Turnpike Enterprises is not affiliated with “Sun Pass Collections Inc.” or “Sun Pass Collections Inc Linebargar Goggen Blaiir, LLP”. Anyone receiving communications from third-parties attempting to collect payment of tolls should exercise caution. The state says if you have any questions about your SunPass account, visit www.SunPass.com, or contact the SunPass Customer Service Center at 1-888-TOLL-FLA (1-888-865-5352). Anyone who may have received an unauthorized solicitation may file a complaint with the Federal Bureau of Investigation Internet Crime Complaint Center at https://www.ic3.gov/default.aspx.